38 cm PRO-Woofer with corrugated Paper-Cone. Identical replacement for old HD38S100 drivers. In 2009 the driver was improved concerning moving-parts and pole-piece! 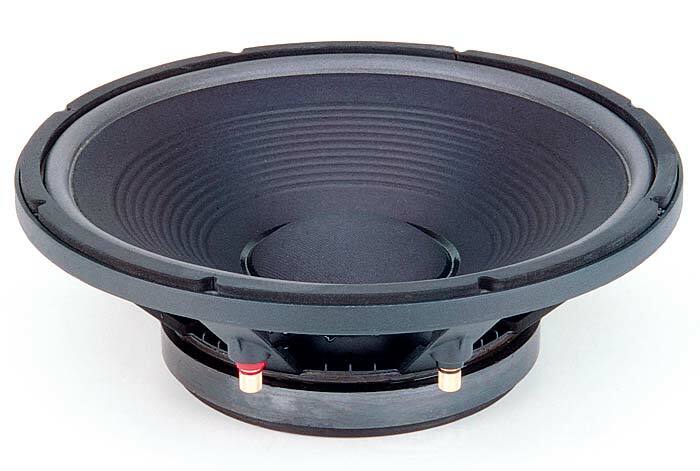 KAPTON-Voice coil former - Fiberglass reinforced! SPECIAL ORDER item - leadtime ~8 weeks.